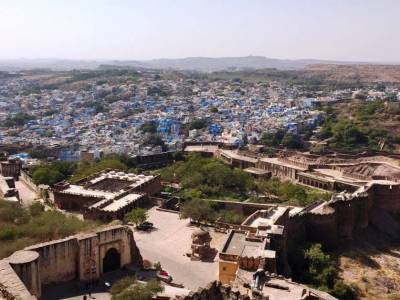 The city of Jodhpur is an important place of Rajasthan. It gets a great annual flux of tourist and travelers for all over the globe and also all across the country. The Mehrangarh Fort is one of the main attractions of the city Jodhpur, Rajasthan. The Mehrangarh fort has great historical importance as many of the Rajput clans' historic feats are etched in its ever so strong walls. 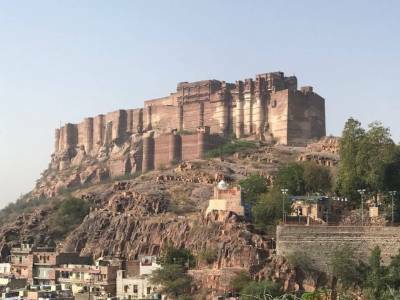 The Mehrangarh Fort was built in the year 1460 by a certain Rao Jodha. It was after its establishment that it became centre of many historical events with the passage of time. From the acquisition of the armies of the three cities of Udaipur, Jaipur & Bikaner by Maharaja Man Singh to the defeat of the Mughals by Ajit Singh, all these feats are commemorated in the Mehrangarh fort by its series of seven grand gates. The Mehrangarh Fort is built on a high plateau over the city at an altitude of 125 metres. The strong high walls and the rough terrain make the fort an impregnable establishment. The interior of the fort is, however, an exhibition of art and sculpture. Form grand buildings to fountains, statues & monument laded courtyards to manicured gardens everything is exuberating royalness. 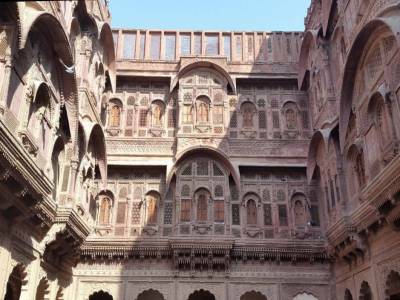 The Mehrangarh Fort houses the Mehrangarh Museum that stocks the glorified past of the land. 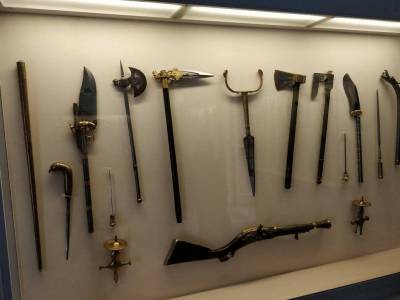 The main attraction is the palanquin section of the museum apart from armoury gallery, paintings gallery and so on. 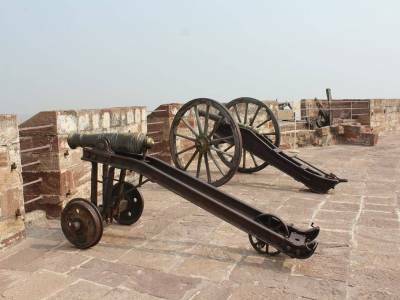 This fort is a great tourism centre and being on the heart of the Jodhpur City, it is very much commutable. Get quick answers from travelers who visit to Mehrangarh Fort.